Nearly a quarter of a million people in Wales want a job but do not have one. More than 8,000 households were homeless in 2013 and 79,000 people needed food aid. One in three children lives in a low income family. This is the stark backdrop to the Bevan Foundation’s new report “Rethinking Poverty – Implications for Action”, which is of great interest to us at the Wales Co-operative Centre and the work that we do that supports the wider poverty agenda. “Digital skills are an important adjunct to literacy and numeracy, as more and more services are either available only online, or offer time and/or cash savings if accessed online. The shift towards online benefit claims is a particularly strong driver of change. People without access to the internet and without the skills to use it are disadvantaged. There is a marked income-effect in digital exclusion – in 2013, only 1 in 10 (9%) of those in managerial and professional occupations did not use the internet compared to more than three in ten (31%) of those who had semi-routine and routine occupations. The achievement of the targets in the Digital Inclusion delivery plan was due to the Welsh Government’s Communities 2.0 programme, which is led by the Wales Co-operative Centre. How is this going to work then when Communities 2.0 comes to an end in March next year? Well, we need everyone in Wales working to tackle poverty to take digital inclusion seriously. Our experience is that the current practice is too patchy. And to get this consistency we need a strong, lean leading digital inclusion project to help all front line services deliver effective digital skills support. The Bevan Foundation report is blunt about the nature of the challenge. For the last eight years, there has been no improvement at all in the number of Welsh people living in poverty. And that number is set to rise. Yes, we need an informed debate. But we also need action. How will the new UK Government Digital Inclusion Strategy help tackle poverty in Wales? 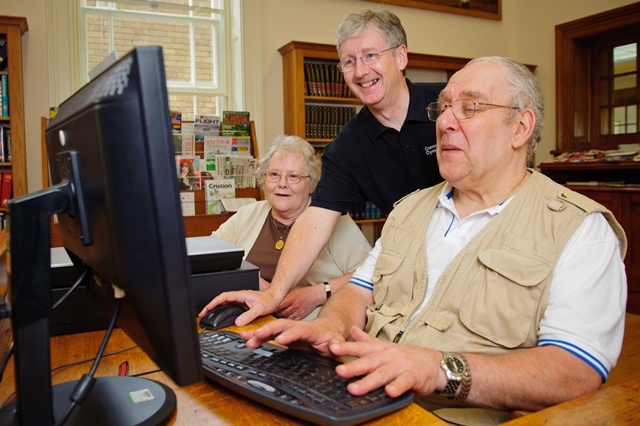 This month, the UK Government published its updated Digital Inclusion Strategy. Dave Brown, Director of Strategic Development and Performance at the Wales Co-operative Centre, asks what this might mean for Wales. The UK Government Digital Inclusion Strategy describes succinctly the scale of the digital exclusion issue as it affects the whole of the UK. “Today, the web has 2.4 billion users worldwide. To put this incredible speed of adoption in some context, radio took 38 years to reach 50 million users, television took 13 years, web took 4 years and Facebook took just 10 months. In 2013, 89% of young people now use a smartphone or tablet to go online, up from 43% in 2010. The web has transformed almost every aspect of public, private and work life. It has underpinned our new economy; from changing the way every workplace communicates to creating entire new industries. It is reshaping government through improved public services and improving transparency through open data. So what is to be done about the half million or so people in Wales who are left behind: those that lack the skills, confidence, motivation or opportunity to get online? There is little in the UK Government document that relates to our specific Welsh context. What we have got in Wales is a proud history of putting our money where our mouth is, when it comes to funding digital inclusion support. The Welsh Government’s Communities 2.0 programme is run by the Wales Co-operative Centre, and has had a huge impact on the lives of those most excluded and most affected by poverty. As Wales moves on from Communities 2.0, to the next phase of digital inclusion support, we need to build on the strong foundations of partnership laid down by Communities 2.0 initiatives. Yes, practical digital inclusion activities need to be integrated into the mainstream. But for this to be effective it needs support, coordination and leadership. Nothing like the revolution in information and communication described in the UK Government document has ever happened before. As Wales, as a nation, responds to this challenge, it seems right to give the issue the particular attention that only a dedicated strategic project can bring. Tackling poverty is one of the Welsh Government’s top priorities. With this in mind, the Wales Co-operative Centre is about to embark on its latest anti-poverty campaign. ‘Tackling Poverty Fortnight’ will run from 13th – 26th January 2015. The campaign will promote solutions that are helping people in our most disadvantaged communities. It will seek to highlight new approaches that could make a big difference to reducing poverty levels in Wales in the future. The inaugural campaign, held almost exactly one year ago, received public recognition from AMs in the Senedd, with a series of blog posts demonstrating the ways in which the Centre’s work supports the wider tackling poverty agenda in Wales. This time around, we will again be showing how our work provides co-operative solutions to tackling poverty but we are also doing something different and exciting. We are writing to a number of organisations around the UK, that are all involved in work that aims to reduce poverty in some way, to invite them to identify new ways of reducing poverty in Wales in the future. We’re asking these organisations to submit ideas in the form of blog posts. Each idea needs to be something that is not already happening in Wales – at least not on a large scale. Ideally it should be something which is having a demonstrable impact in reducing poverty in the UK or globally but could be rolled out or adapted to work in Wales. The blog posts need to be submitted by mid-December and will then be published during ‘Tackling Poverty Fortnight’ (13th-26th January). The publicity for each idea may, in itself, be enough to give it the momentum it needs to become a reality in Wales. We will gauge reaction from the ideas and are keen to work with interested parties to take some of the ideas forward. Our campaign was first mentioned at this week’s ‘Towards a Wales Without Poverty’ conference, hosted by the Bevan Foundation and Joseph Rowntree Foundation. During this event, policy experts, researchers and practitioners led debates that largely looked at how poverty in other parts of the UK had a bearing on Wales and whether approaches that were being taken to reduce poverty elsewhere could work here. During the conference, my colleagues Dave Brown and Matthew Lloyd ran a breakout session that looked at how digital inclusion work, primarily through Communities 2.0, was not only hugely relevant to the poverty debate but how it was helping to tackle poverty in disadvantaged communities. The conference painted a bleak picture at times, paying particular attention to child poverty, in-work poverty and how issues such as the living wage, Universal Credit, food banks, equal pay, government strategies, piloting anti-poverty schemes, poverty in rural areas, valley areas and cities are all relevant factors that are very much in the melting pot when it comes to the issue of poverty in Wales. We’re interested to see what kind of response we get to our invitation to organisations, to provide ideas to reduce poverty in Wales to help make some sort of improvement. 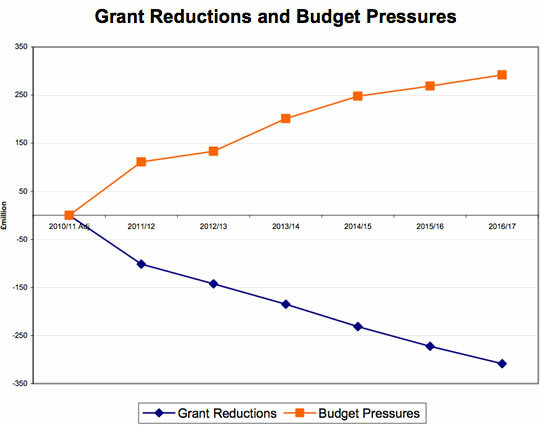 The “Jaws of Doom” describes the shape you see if you plot a graph showing increasing demand for public services (driven by an ageing population) and reducing public sector resources to meet that need. It’s this tension that is driving severe cuts in some areas and market commercialisation in other parts of the UK. That was the background to today’s “Reshaping Services with the Public” conference held by the Wales Audit Office in collaboration with partners including the Wales Co-operative Centre. The conference was about changing the relationship between those who deliver and people who use services. The premise is that too many public services are still delivered from the perspective of single service deliverers. The leads to citizens experiencing multiple, fragmented approaches that can result in contradictory and conflicting interventions, poor outcomes for the service user, waste of valuable resources and poor value for money. Keynote speaker Professor Tony Bovaird from Birmingham University argued for a radical change in the way we co-commission, co-design, co-deliver and co-assess public services. We need to centre services on the user, gain their consent and harness their time and the time of others in the community to complement resources paid for from public money. This sounds a lot like a co-operative model to us. The Wales Co-operative Centre supports co-operatives and social businesses, and that includes assisting local councils who are considering externalising services to new social businesses. We help ensure that the perspectives of service users and staff are hard-wired into the governance structures of new enterprises. We support business plans that stack up financially but are driven by the needs of service users and by broader social good. This is in sharp contrast to privatisation approaches, where service users can be objectified, and ineffective delivery models can be contractually perpetuated. And at the Wales Co-operative Centre we try to practice what we preach. We deliver the Wales Government’s Communities 2.0 digital inclusion programme, and the volunteering model used is a lovely model of co-delivery. The people the programme helps can themselves become volunteers and influence what the programme delivers. Not only does this mean value for money but it ensures that the programme stays fresh and relevant to the needs of people who are digitally excluded. Today’s conference marks the beginning of a long journey for public services in Wales. If we keep with us co-operative values and explore co-operative models of service delivery, we would be well on our way. Today, one of the co-operatives the Wales Co-operative Centre helped set up in Gower is launching its new village shop premises. Siop Y Bobl in Llanmadoc was formed by a group of volunteers from the village after the shop and post office that serviced the village closed down. The Wales Co-operative Centre helped the group to set up as a co-operative (registered as an Industrial and Provident Society) and helped develop their business plan. The shop now provides a wide range of products from fresh goods, home baking, frozen and chilled foods, an off-license, post office and coffee shop. It buys its produce and goods from local producers or suppliers, helping to keep them in business and retaining income in the area. Siop y Bobl has won numerous awards including the Welsh Volunteers Award, the Best New Business Award, Best Village in South Wales and Best Community in Wales. The members attribute part of their success to the advice they have received from the co-operative movement. Membership is open to anyone in the area who wants to join – without them Siop y Bobl would not exist. One of the most significant benefits of the co-operative comes from its 50 plus volunteers, many of whom are local people who have retired. The shop is a “social hub” where people can meet and get together on a daily basis, especially people who live on their own and would not see other people. Siop y Bobl firmly believes that having co-operative principles has meant that a “dying rural community” has been able to thrive. They purchase from 37 local or very local businesses which also helps the wider Welsh economy. Siop y Bobl has faced a number of challenges along the way, especially relating to its premises. After a long period of planning and construction the business has now moved into new premises on the main road through the village. At the Wales Co-operative Centre we have been proud to support this community enterprise and wish them well in their new premises and for a long future as the hub of the community of Llanmadoc. Branwen Ellis is a Business Consultant at the Wales Co-operative Centre. She is an expert on co-operatives, social enterprises and governance. Credit Unions play an important role in our country, providing a safe, ethical alternative to doorstep and payday lenders. 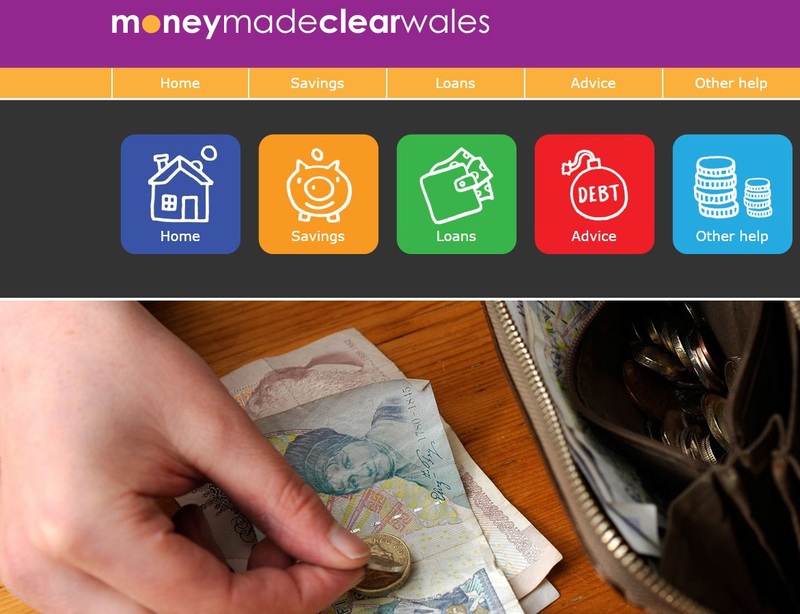 Credit Unions offer responsible banking services to everyone in Wales. Credit Unions are co-operatives and they work to co-operative values. They are a crucial element of work to tackle poverty and in addressing some of the major financial issues that families in Wales face today. We welcome the Welsh Government’s recent statement which outlines and reiterates its support for the Credit Union movement in Wales. Read the statement here. The Wales Co-operative Centre’s past and current work with Credit Unions has helped build the movement and has made a positive contribution to the overall approach to financial inclusion in Wales. For example, our work to increase the take up of Credit Union Rent Accounts is helping people in receipt of benefits to secure their tenancies. It is also raising awareness of the services and benefits of using Credit Unions overall. In the past, we helped to facilitate the merger of five Credit Unions in North Wales which became North Wales Credit Union. We continue to support Credit Unions looking to achieve more from collaborative working and consortium approaches. We firmly believe that increased awareness of credit unions and the rising take up of credit union accounts across all members of our society is essential. Credit Unions are not just there for emergencies; in fact they need our involvement and investment throughout the good times to ensure they are able to support us during the bad times. Sustainability is essential and we all have a part to play in that. These are important times for Credit Unions and the opportunities are there to build a strong, vibrant and sustainable Credit Union sector in Wales. We are delighted to be able to continue to play our part in helping Credit Unions grow and continue to provide the essential services they offer to the people of Wales.